I know it's a huge blogger cliché, but I absolutely adore candles. It must run in my family as my Mum is just as obsessed as I am and I can guarantee that at least 2 will be burning every evening without fail. 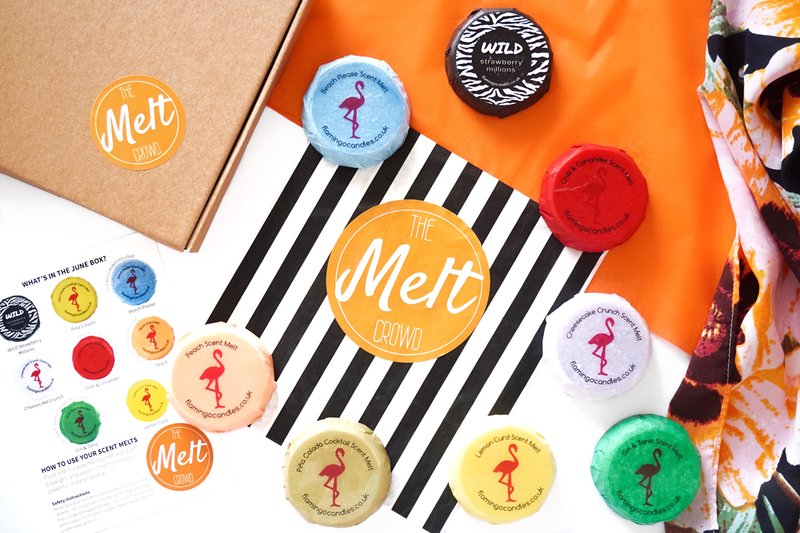 When I discovered The Melt Crowd from Flamingo Candles, a subscription service where Wax Melts are delivered directly to your door, I literally squealed with excitement. After reading rave reviews from two lovely bloggers, BlondeAmy and TheDiaryofaBeautyAddict, I was sold and I placed my order straight away, impatiently waiting for June to arrive! 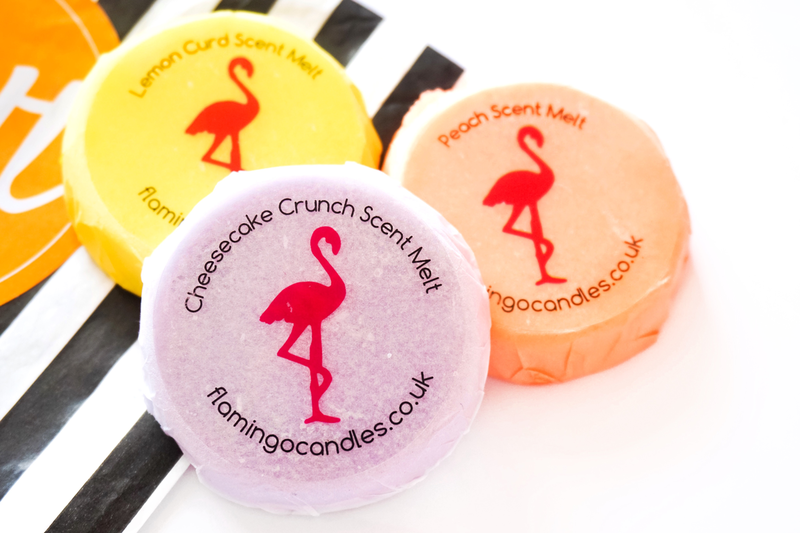 For £10 a month Flamingo Candles deliver 8 EcoSoya Soy Wax melts to your door (you'll find no nasty chemicals here) with an additional melt added to celebrate your 3rd, 6th, and 9th month as a subscriber. With your first order you also receive a free Wax Burner so all you need to do is add a tealight and your good to go! Every month 8 melts or more will be delivered straight through your letterbox so you don't have to be in for the parcel to be delivered. Boxes with 8 melts have a RRP of £18.95 (£2 each per melt plus an additional £2.95 for delivery) so it's certainly great value for money and the added excitement you feel before the box arrives just adds to the value for me. 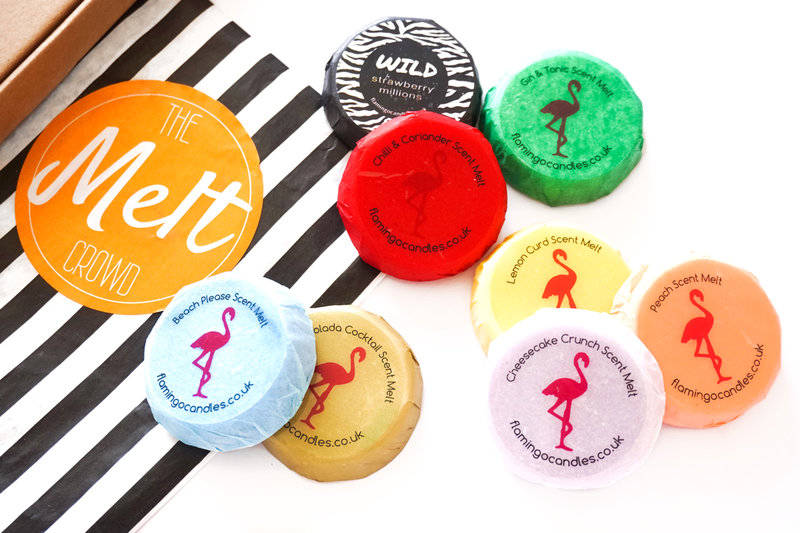 The scents also vary every month and often feature The Melt Crowd exclusives that you can't buy online! Before I even opened my June edition of The Melt Crowd I could tell it was going to transport me away to a tropical paradise. The scents were already bursting out from the box before I opened the lid and with one sniff I could already detect so many fresh and fruity fragrances. With Summer officially starting in June, this month was packed with vibrant, exotic scents to celebrate the warmer weather and to fuel those dreams of spending summer nights in the Maldives, relaxing by the ocean with a cocktail in hand. But it's not all about fruity fragrances, there's definitely quite an exciting mix of fragrances this month. Four exclusive scents are included: Beach Please, Peach, Gin & Tonic and Chilli & Coriander, alongside the dessert inspired Lemon Curd and Cheesecake Crunch, the iconic summer cocktail Pina Colada and a special WILD fragrance, which is Flamingo Candles' 90s inspired range, in the scent Strawberry Millions. Pina Colada | When I think of summer I can't help but start singing that famous song... if you like Pina Coladas, and getting caught in the rain... Pina Colada is a true iconic holiday cocktail and Flamingo Candles have nailed the scent. It's not too sweet or sickly as the mix of pineapple, orange and grapefruit is balanced with a rich coconut and vanilla base. I love this one and I'll definitely be burning it the night before my holiday! Beach Please | A special edition for June, Beach Please is fresh and zesty and reminds me of the ocean. This one would be perfect for the bathroom and it's a welcome addition besides the majority of fruity, sweet scents. Peach | Peach is rather self-explanatory and it's another exclusive this month. I was worried that this would smell rather artificial but thankfully it doesn't and instead it has a lovely refreshing sweet peach scent that I can't stop smelling. It's not as complex as Pina Colada or Beach Please but it's just as wonderful. Gin & Tonic | An exclusive added to celebrate World Gin Day on the 11th of June, Gin & Tonic has a very zesty and punchy gin aroma. I'm a big fan of gin so I was really excited to smell this and I'm very impressed, it's a very clean, clarifying scent. 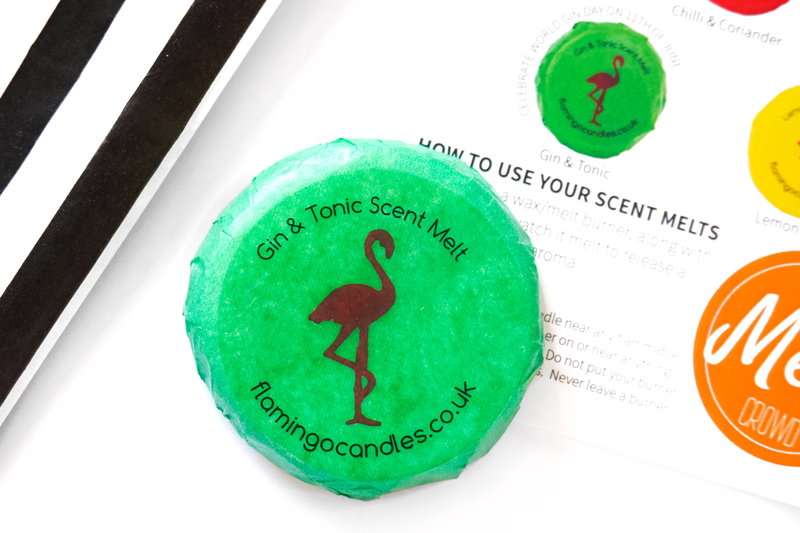 It's a fragrance that is hard to put into words but just think about an uplifting mix of lemon, lime, herbs and gin and you'll have Flamingo Candles' Gin & Tonic! Lemon Curd | Lemon Curd has a very strong scent which I'm hoping will weaken a little once lit. I'm not a big fan of lemon scents in general so I don't love this but it is quite a nice scent. It's very refreshing, definitely very lemony and it is part of the High Tea permanent collection. Cheesecake Crunch | It takes a lot of self-restraint to not bite straight into this melt! It honestly smells amazing and so more-ish, it's definitely not one to burn if you're feeling peckish or you might end up devouring an entire cheesecake before you realise it. If you hate sweet, dessert inspired scents you won't like this but I adore them and I can't get enough of Cheesecake Crunch! Chilli & Coriander | When I first read the name of this melt I wrinkled up my nose and hesitantly gave it a sniff. I don't really enjoy eating Chilli or Coriander at all so I really expected to hate this one but I was pleasantly surprised. I'm very intrigued to see how this smells in a room once it has melted but for now I'm torn. It's very fresh, herby and woodsy but it's also rather weird... but in quite a good way. I like it, I think... I'll have to update you all after I've used this! WILD Strawberry Millions | The WILD range from Flamingo Candles cast you back to the 90s, full of nostalgia and retro vibes. I do enjoy actually sitting down and smelling the Strawberry Millions melt, it's ridiculously sweet with a sherbet-like strawberry scent, but I'm not sure if it's something I would want my entire room to smell like. It's definitely one I need to burn to fully make up my mind on. Overall I'm really pleased with June's melt selection. There are a few instant hits that I know I'll absolutely love but I'm most excited to try some of the more unusual scents. I think I love the concept of The Melt Crowd as it definitely forces me to try fragrance I wouldn't necessarily choose myself. My favourite? It's a difficult decision but I think I'd have to go with Cheesecake Crunch, closely followed by Pina Colada! Will I be continuing my subscription? Absolutely! Due to moving house at the start of July I've been forced to suspend my account for the moment as I have no idea which address I would send July's box to but as soon as I'm settled in my new home I'll be reactivating my account immediately! I'm already eagerly awaiting August's box and by then I'll definitely be in need of more melts. I never usually stay loyal to subscription services, I always feel that they're very hit and miss between each month, but after reading reviews of The Melt Crowd for the past year it seems like they're very consistent with their quality! The only tiny, negative thing I have to say about my experience of The Melt Crowd subscription is honestly so petty I'm not even sure why I'm mentioning it. The paintwork on the wax burner I received had sadly been chipped quite a bit on the inside and I was a little bit disappointed that I received a plain black burner instead of one of the prettier cream and blue burners other subscribers had received. Complete and utter #firstworldproblems right here, I know. I'm still so thrilled with my introduction to Flamingo Candles! If you're a candle lover, you simply have to try The Melt Crowd. You also receive a 20% off discount code for the Flamingo Candles website every month in case you find a favourite scent you just have to stock up on. Let me know if you've joined The Melt Crowd already and if you haven't which scent from June's box do you like the sound of the most? 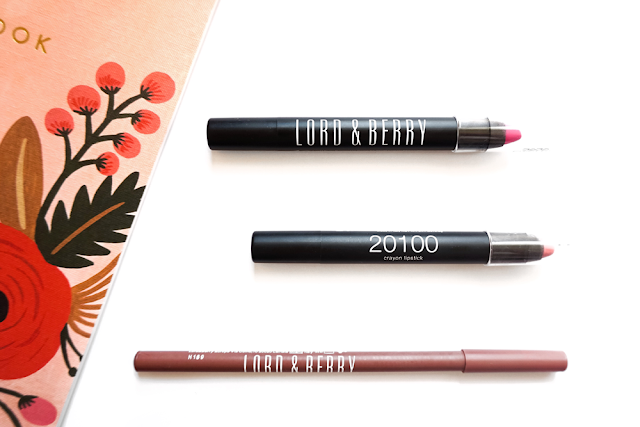 Have you heard of Lord & Berry? 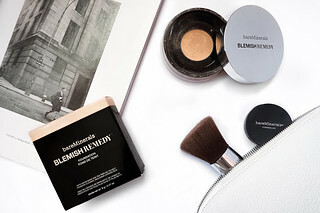 They're a brand I've only ever encountered in beauty box subscriptions such as Birchbox so I was actually really surprised when I did a little research and discovered that the likes of Selfridges, Boots, Look Fantastic and even Asos stocked them. They don't seem to be a brand that's talked about very often in the beauty community, so when I was sent 3 of their lip products to try I had no idea what to expect! 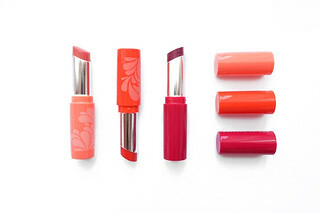 The 20100 Crayon Lipsticks* caught my eye immediately, as they instantly reminded me of the NARS lip pencils which I've been desperate to try. Retailing for £10 each they're considerably cheaper the NARS crayons and although I can't say whether or not the 20100 Crayon Lipsticks are dupes I can happily say that the they are are wonderful products in their own right! And better yet, Boots are currently selling them for half price so they're an absolute steal at £5 each! I never expected to be this impressed, mainly because I hadn't heard much about them or the brand before, but the application was so easy and comfortable due to the super creamy formula and I found them to be long-lasting, highly pigmented (especially the bolder shade) and not drying at all on the lips! I was sent 2 shades, Vintage Pink and Fuchsia, which you can see applied to my lips below. I'll put my hands up and admit it, I was well and truly enticed into buying L'Oreal's new Extraordinary Clay Shampoo purely because of the adverts on TV. Who on earth could resist the promise of combating two pesky issues all at once? Having oily roots and dry ends is an absolute pain. It's so difficult to cleanse the hair thoroughly and keep the grease at bay without stripping away all of the moisture from my poor dry and brittle ends. To get straight to the point, L'Oreal's Extraordinary Clay Shampoo isn't absolutely life changing but it is a lovely shampoo, especially for only £3.99 for 400ml. Instead of washing my hair every other day, or pile half a can on dry shampoo onto my scalp to make third day hair look slightly acceptable, I can now happily wash my hair twice a week, adding just a touch of dry shampoo on the third and fourth days to top it up. When I first used this I noticed that my scalp felt incredibly cleansed but vitally it wasn't stripped of moisture. My dry ends seemed to feel stronger, silkier and look smoother and my hair overall appeared thicker and a little bit healthier. By the fourth day my hair was definitely leaning towards the greasier side but in comparison to what it would have been using a different shampoo it's still pretty impressive. 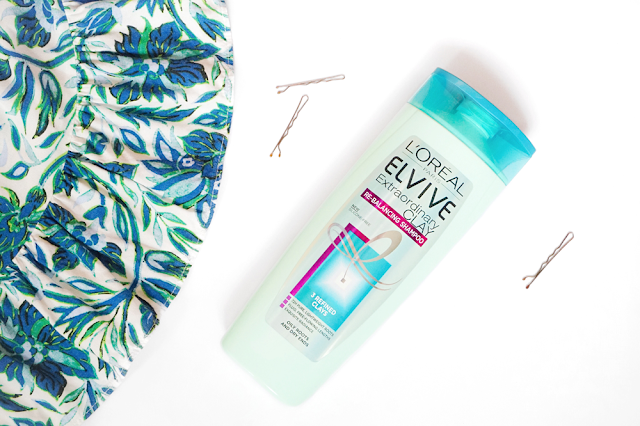 The Re-Balancing technology in the new Elvive range is apparently down to 3 redefined clays which help release you from the vicious over-washing cycle. I can't really find an exact scientific analysis of why and how the three clays work to achieve this but the apparent absorption of oil and added hydration seems to be working quite well with my hair. If you suffer from oily roots and dry ends I definitely suggest giving this go to see if your hair responds. It lathers well, smells lovely and it's also silicone free! However, it does still contain sulphates which I'm personally not bothered by but it is something to be aware of incase you're against SLS. Until I find something even better I think I'll be sticking with the Extraordinary Clay range. The lazy girl in me rejoices whenever I reach for this. 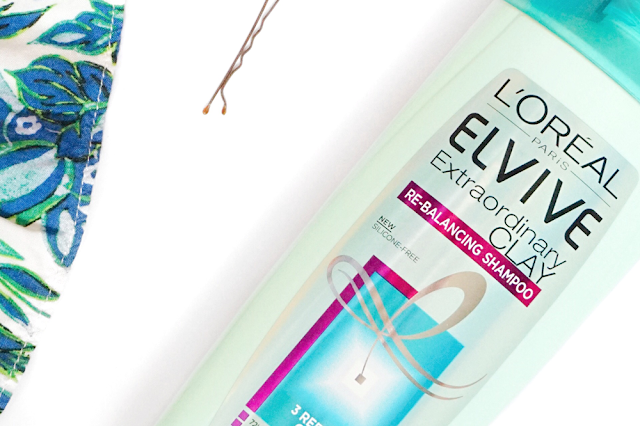 Who wouldn't enjoy saying so long to every-other-day hair? Full coverage: a phrase that used to send shivers down my spine. Contrary to popular opinion I really didn't get on with the famous Double Wear or even Revlon's Colorstay foundation. I'm certainly not opposed to a flawless finish, especially for the evenings, but it just seems that every full coverage foundation I've tried to date hasn't sat well on my skin. Sadly, I find that the formulas always tend to be too thick, difficult to blend and combined with my oily skin they end up being a recipe for a cake-y disaster. 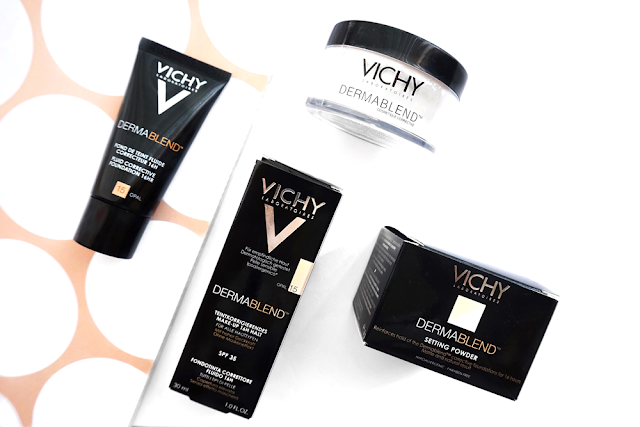 With this in mind, I suppose you can imagine how hesitant I was to try Vichy's Dermablend Corrective Fluid Foundation (£18)* which is known in the beauty world for providing extremely high coverage and helping to hide even the most severe skin concerns. In all honesty I would never have picked this up myself as it sounds like it provides even more coverage than Double Wear but when Vichy kindly contacted me I thought I'd give it the benefit of the doubt. 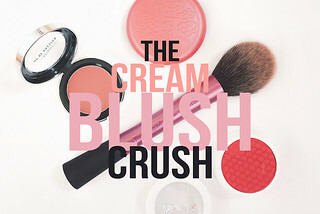 It's a foundation that's stood the test of time and with a new look, 3 new shades and so many positive reviews I thought that maybe, just maybe, it might be the full coverage formula for me.